The Oklahoma City Thunder were down 54-47 at halftime of Game 1 of the NBA Finals after losing the first quarter 29-22 and tying the Heat in the second quarter, 25-25. The Thunder won the game by winning the third quarter 27-19 and winning the fourth quarter 31-21. So here’s a few questions to ponder: How important is it to win multiple quarters in the NBA Finals? Is it more important to win one particular quarter of the game? Can you win an NBA Finals game by outscoring your opponents in only one quarter and having them outscore your team in the other three quarters? Looking at the quarter-by-quarter scores of the NBA Finals games since 2000 (68 games), it appears that the winning teams have had the most success in winning individual quarters two and three. Of the 272 quarters played in the 68 finals games since 2000, the winning team has won 167 quarters, lost 89 and tied in 16. Following are the number of times the winning team won each of the four quarters in the NBA Finals since 2000. The Thunder were only the seventh team in the last 68 games to win a finals game without winning either of the first two quarters. The Dallas Mavericks accomplished this three times last year on their way to winning the 2011 NBA title over the Miami Heat. Could this be a trend for the Heat? Did you know? The winning team has won 43 of the 68 finals games where they were outscored by their opponents in only one of the four quarters. Did you know, Part 2? Teams that outscored their opponents in two or more quarters won the series 61 times and lost 26 times since 2000 (a .701 winning percentage). The moral of the story (stat): Outscore your opponent in at least two quarters and you’ll have a 70% chance of winning the game! 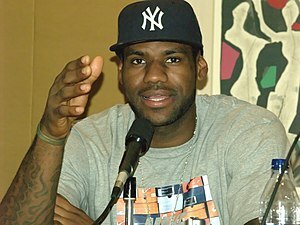 NBA Finals: Will LeBron James score 32 points tonight? If you believe in numbers and stats and karma (and if you’re anywhere near a roulette wheel) you may want to put money on Miami’s LeBron James scoring 32 points tonight in Game 1 of their NBA Finals series against Oklahoma City. In Game 1 of the three previous series in this year’s playoffs, James has scored 32 points in each game. 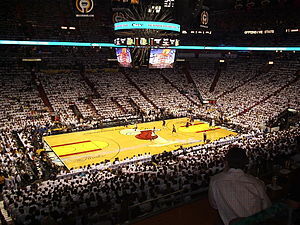 Oh, did I mention that the Heat won each Game 1 in the three previous series? James averaged 33.6 points in the Eastern Conference Finals series against the Celtics, scoring 30 or more in six of the seven games. For this year’s playoffs, James has scored 30+ in 11 of the 16 games. This would lead a lot of people to guess that we’ll see a 30-point game from James in tonight’s contest. But here’s an interesting stat to ponder: James has played in 10 NBA Finals games (six with Cleveland in 2007 and four with Miami last year). He has scored 25 or more points in only two of those 10 games… and he did not score 25 or more points in any of the six games in last year’s finals. Here’s another quick stat to consider: In the two opening games of the finals that James has played in, he scored 14 in Game 1 in 2007 and 24 in Game 1 in 2011. What will his Game 1 performance look like this year? Keeping with the Game 1 in the NBA Finals theme, here’s a look at the players in the last 30 years (since 1982) that have scored the most points in the first game of the NBA Finals. * Since 1982, there have been 45 players who have scored 25 or more points in Game 1 of the NBA Finals; teams were 27-18 (.600 winning percentage) in those games. Twenty-three players scored 30 or more points in the opening game; teams were 16-7 (.696 winning percentage) in those games. In the four games where players scored 40 or more points, teams were 3-1. * The last time teammates each scored 25 or more points in Game 1 of the NBA Finals was 2004 when Shaq scored 34 and Kobe added 25 . The Lakers lost that game. In the last 30 years, at least one player has scored 25 or more points in Game 1 of the finals in 28 of those 30 series (2008 and 1989 were the exception). Who will score 25 or more points in tonight’s game? 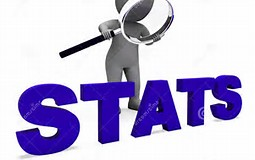 Sports Stats ‘on Tapp’ is a sports statistics blog that focuses on stats that go beyond the numbers. Thunder coach Scott Brooks will be making his debut as an NBA Finals coach when the series starts on Tuesday. Brooks was, however, a player the 1994 Houston Rockets who won the title over the New York Knicks. Brooks, who averaged 5.2 PPG in 73 games in the 1993-94 regular season, did not play in that finals series. He did play in five playoff games in ’94 scoring 11 points. As a head coach, Brooks becomes the 54th coach to make his debut in the NBA Finals. What is not certain is will he be facing a coach who has already won a title (Doc Rivers with the Celtics in 2008) or a coach who has been to the Finals but has not won a championship (Erik Spoelstra with the Heat last year)? If past history is any indication, Brooks may want to face Miami and Spoelstra: In 22 title series, a coach making his NBA Finals debut has faced off against a coach who has won a title. The team with the coach that has won the title has won 18 of those series. When a first-year finals coach has faced a coach who has been to the finals but has not won the title, the first-year coach’s team has won three times and lost twice. A coach who has won a NBA title vs. a first-year NBA Finals coach: 22 times (the team with the coach who had previously won an NBA championship won 18 of those 22). A coach who has won an NBA title vs. a coach who has been to the NBA Finals but has not won a title: 17 times (The coach who had won a title won 10 of the 17 series). A coach who has been to the NBA Finals but has not won a title vs. a coach who has been to the NBA Finals but has not won a title: 0 times. 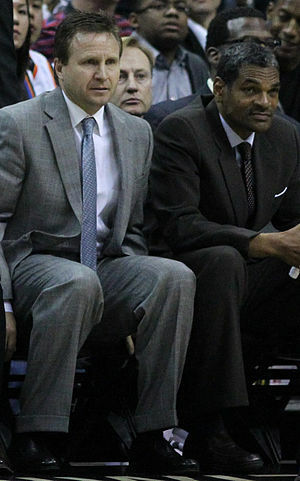 Two coaches who have each won an NBA title: Eight times. In looking at the coaching matchups over the past 20 years, 12 of the 20 title series have seen a first-year coach in the NBA Finals face-off against a coach who has previously won a championship. The coach with the title has won 10 of those 12 series. In fact, of the last 21 NB A Finals series, the team with a coach who had previously won the title has won 16 of those 21 series. 1948: Buddy Jeannette, first-year in NBA Finals with Baltimore, defeated Eddie Gottlieb and Philadelphia. 1974: Tom Heinsohn, first-year in NBA Finals with Boston, defeated Larry Costello and Milwaukee. 1994: Rudy Tomjanovich, first-year in NBA Finals with Houston, defeated Pat Riley and the New York Knicks. 2008: Doc Rivers, first-year in NBA Finals with Boston, defeated Phil Jackson and the L.A. Lakers. Twenty different coaches have won the NBA championship in their first year in the finals. Dallas Mavericks coach Rick Carlisle accomplished this last year in his first year coaching in the NBA Finals. In the last 25 years, five coaches won the NBA title in their first year coaching in the championship series: Carlisle (2011), Rivers (2008), Greeg Popovich (1999), Tomjanovich (1994) and Phil Jackson (1991).